To celebrate July 4th, I’ve teamed up with more than 50 fantastic authors to give away a huge selection of historical romance novels, PLUS a Kindle Fire to one lucky winner! I’m giving away my book Trifling Favors. This is the last book in my Redcakes series. It is a standalone novel, or you could start the series from the beginning, with The Marquess of Cake, on sale for $.99 right now. We’re each giving away five copies so there are going to be a lot of winners! Remember, the contest starts July 4th and ends on July 11th! 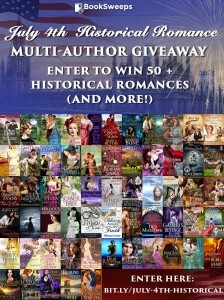 This entry was posted in Contest and tagged heather hiestand, historical romance, The Redcakes, Trifling Favors on July 3, 2016 by Heather. 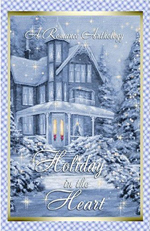 A collection of heartwarming holiday novellas including Heather Hiestand's "Victoriana."